When the time comes to invest in your own home, you have the option of buying an existing house or building your own. Building a home from the ground up is more complicated but it also has more advantages that make it a great option for many homeowners. The main advantage is that you can design the home any way you like. It’s very difficult to find something already built that suits your needs perfectly. This is why so many homeowners decide to remodel later. It’s also why building a new home may be your best option. Instead of remodeling a house that someone else built, you can customize the home to suit your individual needs when you build your own. This is your chance to have the home you’ve always dreamed about because you handle all of the details from creating the floor plan to deciding where the light switches go. You decide how large the bedrooms are, how many bathrooms you have and even how many entrances you have leading into the home. You choose between carpet and hard wood floors and you decide what type of lighting to use. Since you’re making all of the decisions, you can customize the home to meet all of your specific needs. However, building a structure requires careful planning to ensure your home meets all state and federal building codes and safety regulations. You also need a floor plan that will make your home as efficient as it is beautiful and we can make that happen. We’ve been in the business of designing luxury homes for more than 26 years and we offer a complete range of interior design services to handle all types of projects big or small. New, modern homes are safer and more efficient than older homes, which makes building a great option. You choose the type of materials used in the construction and you know that everything going into building the structure is new. Therefore, you don’t have to worry about hidden dangers such as mold, mildew or even pest infestations because you know what is lurking between the walls and under the flooring. You can invest in energy efficient windows, appliances and even add solar panels to make your home more energy efficient as you build. Since everything is new, you don’t have to worry about having to replace the heating and cooling unit, hot water heater or other appliances anytime soon and that makes building a good investment. If you’ve always wanted a home that suits your style and personality perfectly, then building your own home is the way to go. Why remodel when you can start with a clean slate and build anyway you want? Give us a call here at J. 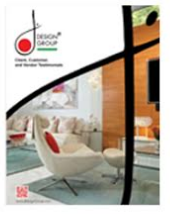 Design Group and we will help turn your vision into a reality!